"Hey, you don't want us…? We'll do our own thing!" Abramorama is releasing a documentary this summer titled 93Queen, an impressive and engaging profile of an all-female ambulance corps made up of Hasidic Jewish women from the Borough Park neighborhood in Brooklyn, New York. Director Paula Eiselt explains (via Women and Hollywood): "It is a universal story in a very particular setting about what happens when women feel empowered to make progress in their own communities, on their own terms, in order to move those communities forward." Featuring Rachel "Ruchie" Freier and "The Women of Ezras Nashim". They decided to band together and create their own volunteer EMT corps, and this doc tells their inspiring story. 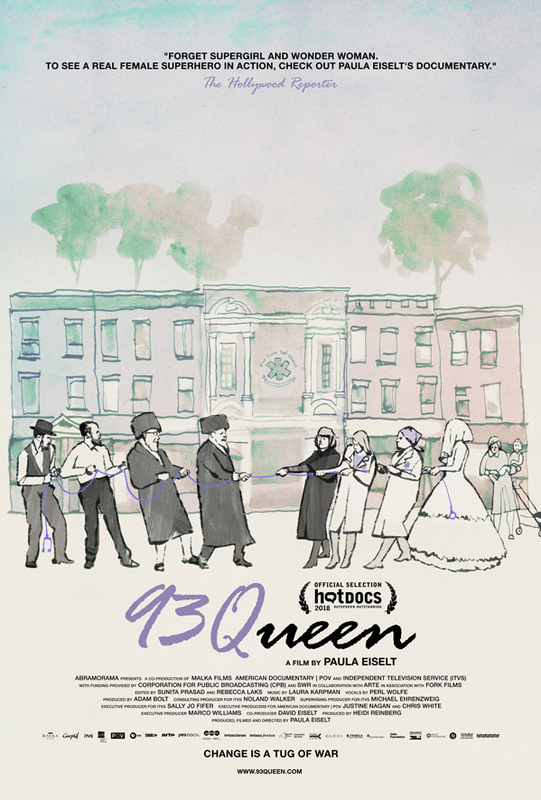 Set in the Hasidic enclave of Borough Park in Brooklyn, New York, 93Queen follows a group of tenacious Hasidic women who are smashing the patriarchy in their community by creating the first all-female volunteer ambulance corps in New York City. With unprecedented -- and insider -- access, 93Queen offers up a unique portrayal of a group of empowered women who are taking matters into their own hands to change their own community from within. 93Queen is directed by up-and-coming filmmaker Paula Eiselt, making her feature directorial debut after the short doc Priscilla previously. This first premiered at the Hot Docs Film Festival in Toronto earlier this year. Abramorama will release Eiselt's 93Queen in select theaters in NYC starting on July 25th, then in LA starting on August 15th, with more cities to follow. Interested?